Discover the HOTTEST MASTER PLANNED COMMUNITY - CANYON LAKES & new construction opportunities by Gehan Homes!! Residents of this gated community enjoy splash pads, rec center, jogging trails, playground, clubhouse, fitness center & access to Stone Gate's Golf Course. Just minutes from Hwy 290, Hwy 249, Grand Parkway and Downtown Houston!! SITUATED on a lot w/ NO REAR NEIGHBORS! OPEN CONCEPT 2 Story w/ 4 Bed, dining, extra room, & 2.5 Bath is loaded w/ upgrades. GOURMET GRANITE kitchen w/ upgraded kitchen cabinets & stainless steel appliances. Luxury master suite w/ HUGE walk-in closet, generous secondary bedrooms, & HARDWOOD floors in dining, covered back patio, sprinkler in front & back, & MUCH MORE! Zoned to Cypress Fairbanks ISD!! Don't miss this opportunity -- builder closing out & homes are selling fast! Call today to set up your private tour. Directions:Take 290 West, Exit Fry Rd, South on Fry Rd 4 miles to Morrison Dr on left. Take Right on Fawn Hills Dr, Left on Great Pines, Right on Grayden Dr and follow around to Cook Dr.
SchoolsClick map icons below to view information for schools near 20606 Riley Copper Dr Cypress, TX 77433. Home for sale at 20606 Riley Copper Dr Cypress, TX 77433. Description: The home at 20606 Riley Copper Dr Cypress, TX 77433 with the MLS Number 82399729 is currently listed at $289,990 and has been on the Cypress market for 124 days. 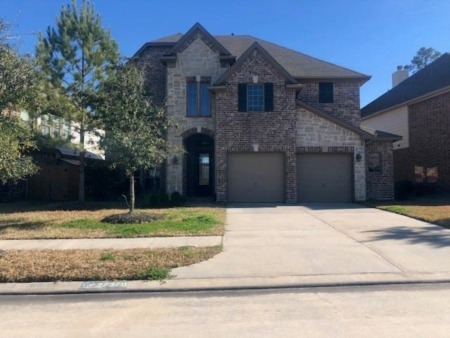 You are viewing the MLS property details of the home for sale at 20606 Riley Copper Dr Cypress, TX 77433, which is located in the Canyon Lakes West subdivision, includes 4 bedrooms and 3 bathrooms, and has approximately 2496 sq.ft. of living area.